The Scottish Business Information Service ( http://www.scotbis.com/) is a national information service for Scottish businesses based on the resources held at the National Library of Scotland. SCOTBIS provides users with a free enquiry service and also offers fee-based research and other charged services. Further information of their services is available on their web site and details of their charges are at http://www.scotbis.com/index.cfm?section_id=01.05. The Web Resources section lists useful sites and key starting points for business including market research, statistics, company information and starting a business. Some of the information concentrates on Scottish markets and companies but most of the information is of value and interest to businesses based elsewhere. As well as browsing through the list of resources you can search the site using keywords and limit your search to title, industry or country/region. There is also an option to restrict your search to specific databases, for example companies, market research reports. The What’s New section lists the latest resources added to the listings and databases. Although there are RSS feed icons on some of the What’s New pages they do not seem to be working at the moment. Apart from this glitch SCOTBIS is an excellent starting point for anyone wishing to search for and purchase business information and for reliable, good quality business resources. I have always suspected that there was something different about me. Am I slightly eccentric, totally bonkers, or perhaps I am an alien from another planet? Google has the answer. After believing for the whole of my life that I am female Google tells me I am male! Google obviously thinks that we ladies are not interested in business, computers, internet or social media. So what would classify me as female? Viewing recipes perhaps? Shopping for clothes online? Or visiting pages about embroidery? Normality has now been restored to my computer and I have regained my sanity. I have disabled web history, opted out of targeted advertising, re-implemented my cookie management procedures and re-enabled my ad blocking plugins. How can you keep your company’s integrity and reputation intact when control is harder to manage? How can you effectively use the information gained from social media evaluation? How do you catch the attention of the tech savvy internet generation? How do you ensure you have the planning, expertise and resource to manage communications during a crisis? How can companies reach out to dispersed employees and keep them engaged? The full programme and list of speakers is available at http://communicatemagazine.co.uk/events-mainmenu-29/107-smcc/1670-agenda . I am particularly looking forward to Karl Brookes, head of NHS Salford communications and marketing, presenting “The NHS – Reaching disparate audiences: a case study”. They may well be using social media to reach their audiences but for most of those working within the NHS social media is usually blocked! My presentation on using social media search tools as part of research, which I gave at Internet Librarian International on 15th October 2010, is now available on the sites listed below. I have uploaded it to several different sites and services as I know some of you are not able to access one or more of them at work. Zuula (http://www.zuula.com/) has a new interface and a new feature. Zuula provides an interface to many different search engines organised by type. Simply enter your search strategy, click on the type of information you want (web, image, news etc) and then click on the tabs of the search engines one by one to see their results. It is a quick and easy way to run a basic search through several tools in succession. Zuula’s new interface is slicker and now automatically de-duplicates web search results. The first in the list is Google and you will notice that the results are numbered. Click on your next choice and you may notice that the numbered results do not start at number one. At the top of the results list there is a plus sign and the text “Why minimized?” Zuula compares the results with your previous choice and “minimizes” duplicates under the plus sign. To see those results, click on the plus sign. The other search types do not seem to support de-duplication but some are pulling in additional search features on the results page. For example images offers size, content (face, photo, illustration, line drawing) and colour. Some of the blog options offer restrictions by date (anytime, last day, last week, last month, last year). You can change the order of the search engines under Preferences and also increase the number of results per page to a maximum of 60. If you haven’t tried it out already give Zuula a go now. The September 2010 issue of Tales from the Terminal Room is now available at http://www.rba.co.uk/tfttr/archives/2010/sep2010.shtml. If you are a regular reader of this blog you will already have seen all of the articles but feel free to download the PDF if you want something read on the train! An interesting list of search tips came from the participants of the search workshops I recently ran in-house for a well known academic institution. (My Twitter followers will be able to work out who it was). As well as being experienced, savvy searchers they are fortunate in that they can choose which browser to use for searching. Attempts to demonstrate Google Instant failed, however. I was not able to show Google’s latest “enhanced search experience” in action, even when using the latest versions of the browsers and being signed in to a Google account. This was probably due to their firewall. Personally, I think that is a plus for the institution. Some of you may disagree. Here is their combined top search tips list. 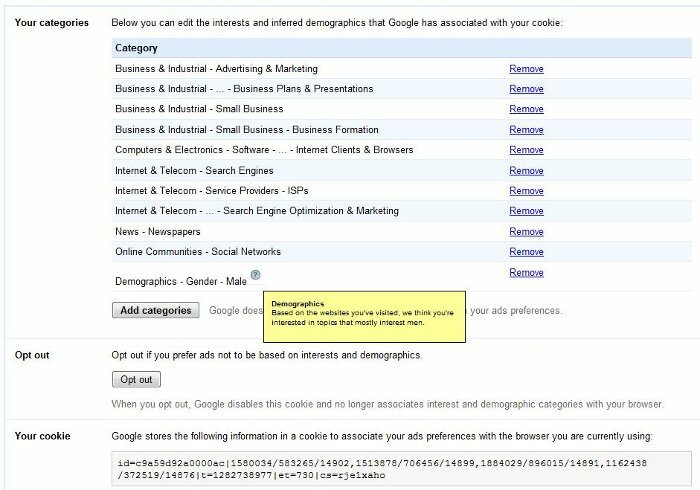 The major search engines monitor what you search for and the links you click on, and use this to “personalise” your results and sponsored links/ads accordingly. This information is stored in cookies on the computer you used for the search. They also try and work out your location from your IP address so that they can deliver local content (this sometimes goes horribly wrong!). What is currently hitting the headlines will also be a factor in determining the results that are displayed on the first page (increase your displayed results per page to more than the default 10 and ideally to at least 50). This means that you will see different results from one day to the next and if you use a computer other than your usual machine. We covered a range of search techniques that you can try to bring Google to heel but if you are not getting anywhere try another search tool. Google does not cover everything and your best result may be number 1,200,675 in the results list. Try Yahoo or Bing as alternatives and also think about using specialist search tools for real time and social media, images, and subjects/industries. There is no easy way to do this but visiting Zuula (http://www.zuula.com/) or Browsys Finder (http://www.browsys.com/finder/) once very couple of weeks will remind you of the alternatives and alert you to new kids on the block. Open up and explore the additional Google search options on the left hand side of your results page. You can restrict your search to news, videos, blogs, images etc and to a time period. There are also options for related searches, less or more shopping sites and…. Use this to extract phrases and concepts from the top results and to change the direction of your search. Worth investigating if you are stuck in a rut and fed up with seeing the same results again and again. This is currently a Google Labs project at http://www.google.com/publicdata/home “..makes large datasets easy to explore, visualize and communicate. As the charts and maps animate over time, the changes in the world become easier to understand.” There is a list of sources at http://www.google.com/publicdata/directory but the data available is more varied than the list suggests at first glance. The World Development Indicators and OECD Factbook are worth looking at in more detail to see if they have data that can help with frequently asked questions. If you are looking for an image for a presentation or promotional literature, search for images that have the appropriate Creative Commons license. There are several licenses with varying degrees of restrictions. Details are on the Creative Commons web site at http://www.creative.commons.org/. You can search Flickr photos that have a specific creative commons license at http://www.flickr.com/creativecommons/ or use Compfight (http://www.compfight.com/). There are several other sites you can use for Creative Commons images but Geograph (http://www.geograph.org.uk/) was mentioned several times by the workshop participants. Geograph “aims to collect geographically representative photographs and information for every square kilometre of Great Britain and Ireland” and all photos have a CC 2 license, which means that they can be used commercially with attribution. Type in the URL of an image or upload one of your own and TinEye will find similar images, how it is being used, if modified versions of the image exist, or if there is a higher resolution version. Provided by Idée Inc who also offer..
Search 10 million Creative commons Flickr images by colour. You can specify more than one colour and click on a colour several times to increase its prominence within the image. You can easily click through to the original Flickr image to double check the license. Ideal for locating individual presentation slides that contain your search terms. There is an Advanced Search that enables you to search specific areas of a slide for example title, text, notes. You can also limit your search to a university. There are browsable lists at the bottom of the page but they do not list every institution: there are only 47 for the UK. One workshop participant had been given a paper copy of a complex slide and it had taken her “ages” to find an electronic version. She had had to wade through hundreds of slides in presentations that had been identified by using the advanced filetype: ppt search. Slidefinder found it straight away. Do not expect Google, Yahoo or Bing to carry out a reliable Twitter search. Use specialist search tools such as Twitter Search (http://search.twitter.com/), Twazzup (http://www.twazzup.com/), BackTweets (http://www.backtweets.com/) for tweets that refer to your content, Tweepz (http://www.tweepz.com/) for finding people and organisations on Twitter, and TwapperKeeper (http://www.twapperkeeper.com/) for archives of tweets on a conference hashtag or keyword. Ideal for groups or collections of sites that you regularly search and use. Google CSE is very quick and easy to set up and can be hosted on Google. Two that had been set up by a workshop participant were a list of library associations worldwide and selected UK higher and further education web sites. Tracking changes to web pages that do not themselves offer RSS or email alerts was not covered by the main part of the workshop but the question arose during one of the practical sessions. There is a list of some web based and downloadable programs and their features at Tracking Web Page Changes http://www.rba.co.uk/sources/monitor.htm . Watchthatpage (http://www.watchthatpage.com/) won the vote because it is free, web based and offers email alerts. “Capture anything… Type a text note. Clip a web page. Snap a photo. Grab a screenshot. Evernote will keep it all safe.”. I don’t use this myself but it had several fans in this organisation. ( I use Firefox add-on Scrapbook to do a similar thing). If you are a Firefox user explore the many add-ons that are available to make searching and managing information easier. For example Feedly (https://addons.mozilla.org/en-US/firefox/addon/8538/) to organize your favourite sources into a magazine-like start page; Scrapbook (https://addons.mozilla.org/en-US/firefox/addon/427/) to save and organize web pages; and Optimize Google (https://addons.mozilla.org/en-US/firefox/addon/52498/) for customizing your Google searches and results. As well as images, many presentations have Creative Commons licenses and their authors are often happy for you to re-use slides from them as long as you acknowledge the source and do not incorporate them into a product or service that you then sell. Slideshare.net is a good starting point but do check the license to confirm what you can and cannot do with the content – not all are CC. Also, consider assigning a CC license to your own photos and presentations. The Creative Commons web site (http://creativecommons.org/choose/) can help you decide which one to use. There was time to explore new techniques and tools during the workshop but it is not so easy to try out, for example, a new option on Google when you are back in the office and an enquirer wants that result NOW! Try and incorporate some “play time” into your schedule so you can keep up with new developments, even if it is just 10 minutes a week.